Perhaps you're a bit confused right now, because in your search for the familiar faces of Cartman, Stan, Chef and Mr. Hanky, you've come across something else altogether. You are, as your very good luck would have it, dialed in to the REAL South Park, a beautiful hunk of untamed real estate right in the center of Colorado. Welcome, and please make yourself comfortable as you learn a little bit about South Park, and the fact that we're NOT quite the same folks as those in Comedy Central's irreverent series, South Park. Although we HAVE all become filthy rich as a result of Trey Parker and Matt Stone's poking fun at us, but heck, those guys are happy to share the wealth. And we're happy to share with you what's made Trey and Matt laugh all the way to the bank as well. When visitors get their first glimpse of South Park from any of the passes that provide access, it must seem to them as though the whole world has opened up and flattened out. Spread out like a wonderful old quilt are wide expanses of ranchland pasture, ribboned by the South Platte River and creeks. To some it may look open and barren, without a past worth mentioning, but in fact this region is steeped in the history of centuries. 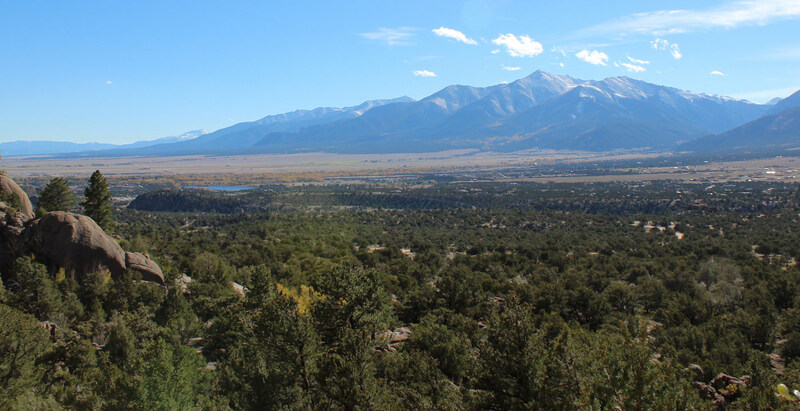 Not so very long ago, less than 200 years, Nomadic Ute and Arapaho natives did great battle over what was once incredibly rich summer hunting grounds. And famed frontiersmen Zebulan Pike, Kit Carson and John Fremont crossed the region in their explorations of Colorado. Mining was an incredibly rich industry for decades, and then ranching became the mainstay activity. Now, as the 20th century comes to a close and a new millennium knocks at the South Park door, those who enter with it will find a unique combination of our forebearers' self-reliance, determination and love for the rugged beauty of an untamed nature etched into welcome mat. Throughout the wide Park, dozens of shops, restaurants and lodges provide a comfortable escape from city hassles while at the same time gently guiding our visitors toward the landscape pages of South Park history. You can see pieces of that history come alive at South Park City in Fairplay, a multi-structure museum open during the summer months. Lovingly restored, South Park City consists of edifices brought from other settlements around the area and positioned into an 1880s town within a town. And other historical sites can be found in the small towns of Alma, Como, Hartsel, Jefferson, Guffey and Lake George. Some of the best river and lake fishing in Colorado is found here, with the South Platte providing depth and breadth to Antero, Spinney and Elevenmile reservoirs. Tarryall Creek fills Tarryall Reservoir as well. Public and private waters give the sportsman much to contemplate in the way of flies and lures. So please, visit South Park -- a real, live place with real, living people. And if you see Matt and Trey, tell them thanks for us. We're even thinking of naming something here after them.